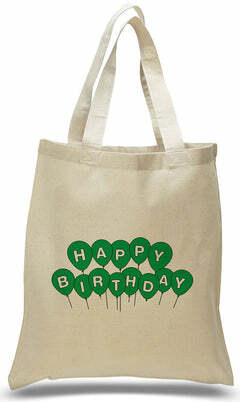 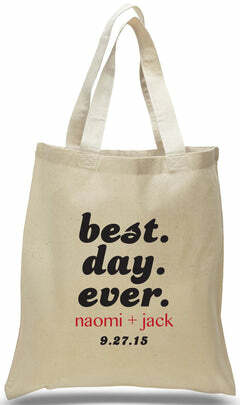 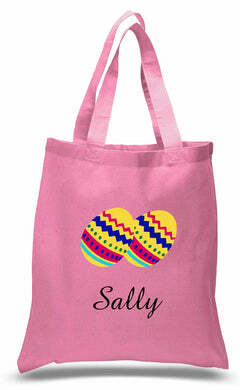 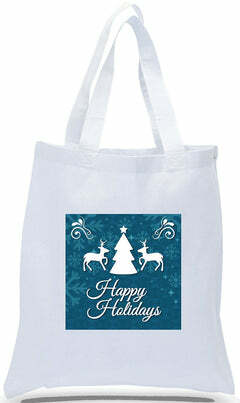 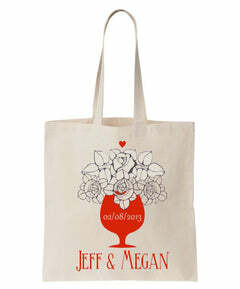 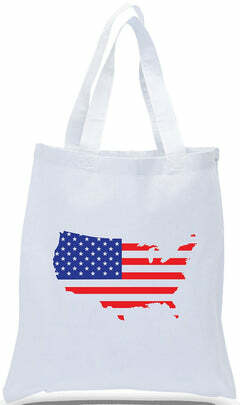 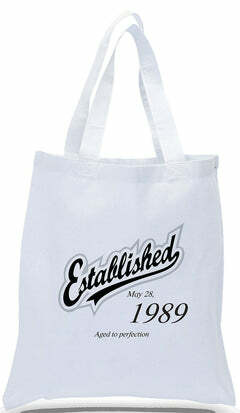 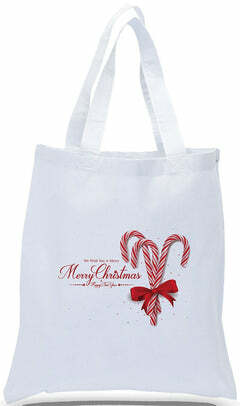 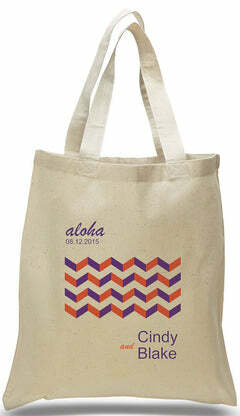 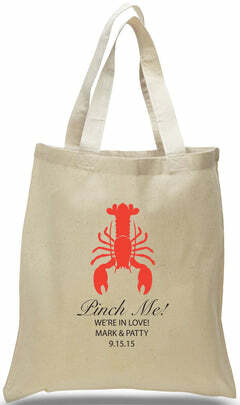 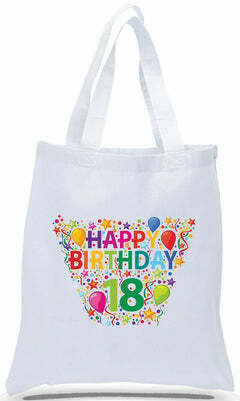 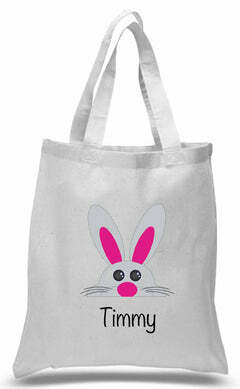 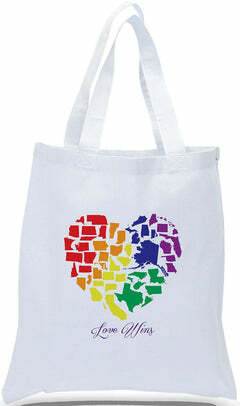 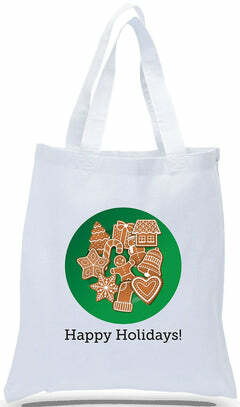 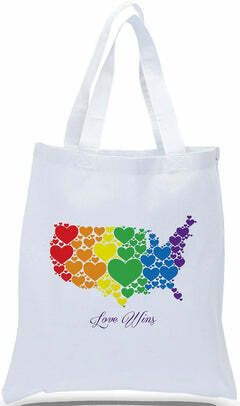 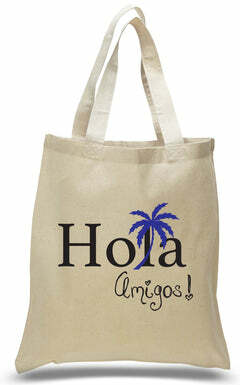 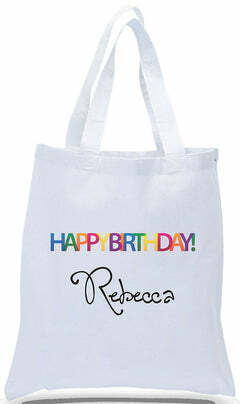 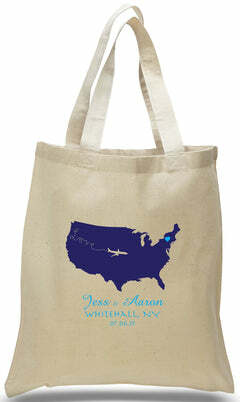 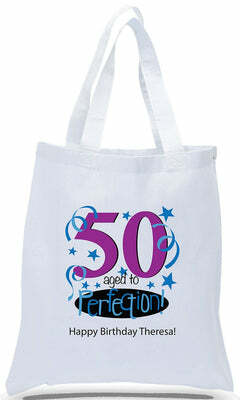 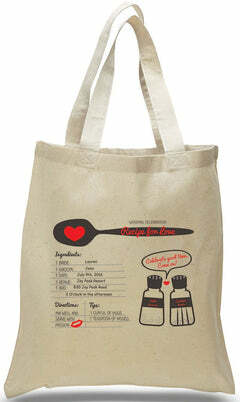 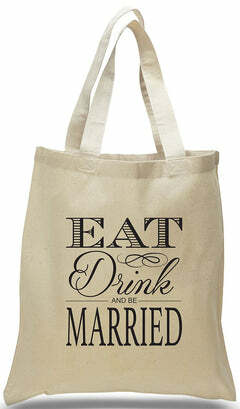 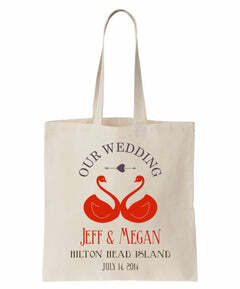 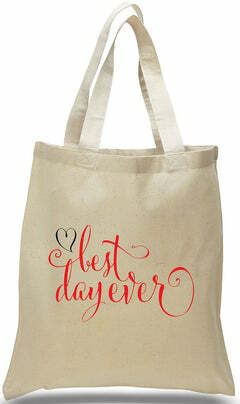 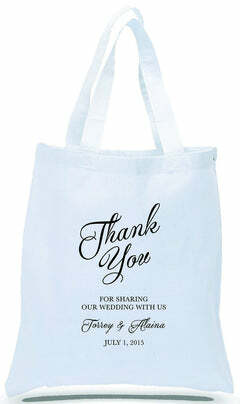 The perfect wedding tote bag for a beautiful summer outdoor wedding. 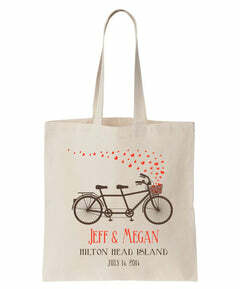 Watch as the bride and groom ride on their tandem bike with hearts flowing from the basket. 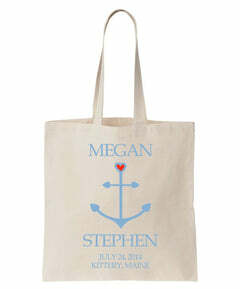 Simply type in names, date and location and have this lovely design printed and ready to pass out to your bridal party or guests.